“The burden of heart failure is far greater in Asia. The prevalence ranged from 0.5% to as high as 6%. Preventive measures seem to be not effective or we are just seeing the natural course of cardiovascular disease. Mortality rate remains high despite proven beneficial therapies and interventions. One of the main reasons for poor outcome is the suboptimal utilization rate of Class IA drugs for heart failure which were documented in registries 1 decade ago. Because of this, experts from Asia gathered together to start a campaign and program that will help Asian countries optimize heart failure care and reduce mortality while improving the quality of life of those afflicted. The Optimize Heart Failure (OHF) is an initiative and project conceptualized by Professor Martin Cowie of the Imperial College London. This initiative was first shared with 7 Asian countries in 2014 which later on spread to 9 countries in 2016. The group is known as the Asian Board of Heart Failure (ABHF). Not a registered name but later on became a model for the other regions in the world. 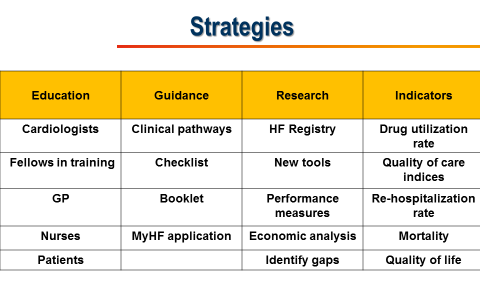 The main role of the ABHF is to give advice on how drug therapy can be optimized in Asia. The idea which sounded good to all members didn’t work the way it is expected to work. It worked beyond expectation and these advisers became movers and leaders in their own countries and hospitals. And so the OHF became not only a project, but a whole program of continuously measuring the burden of heart failure and finding solutions towards optimizing heart failure care through research, education, awareness campaign, guidance and even innovating new tools to assist physicians and patients. From the group arise friends sharing and lending experiences. Many things were accomplished out of this initiative and it continues to grow. There is no single attribute that determined the success of this program but what is commendable is the willingness of every member to continue working on optimizing heart failure care. This is their commitment.